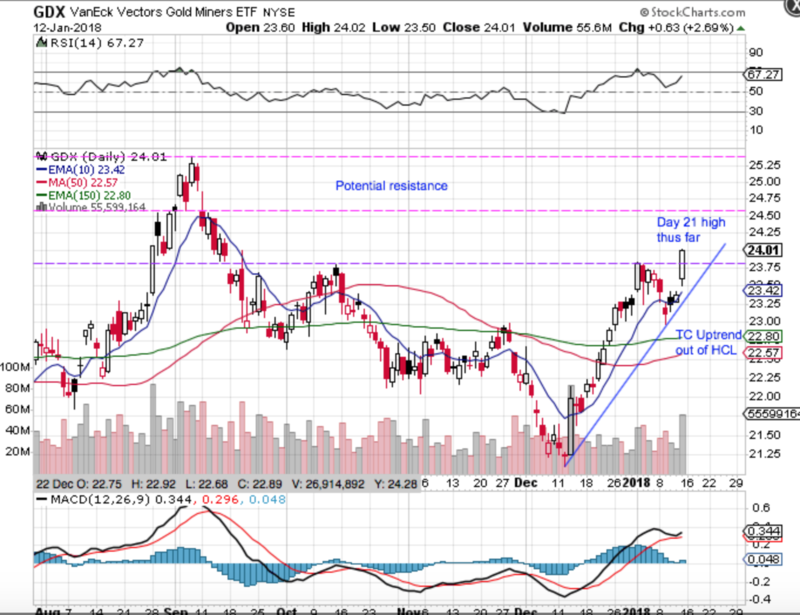 Both Gold and GDX surged to a new high on Friday, shifting the odds towards a right translated Trading Cycle #1 (TC1). This is not surprising as the first TC of any new Intermediate Cycle never fails by making a lower low. If it does then then by definition it’s still part of the previous Intermediate Cycle. 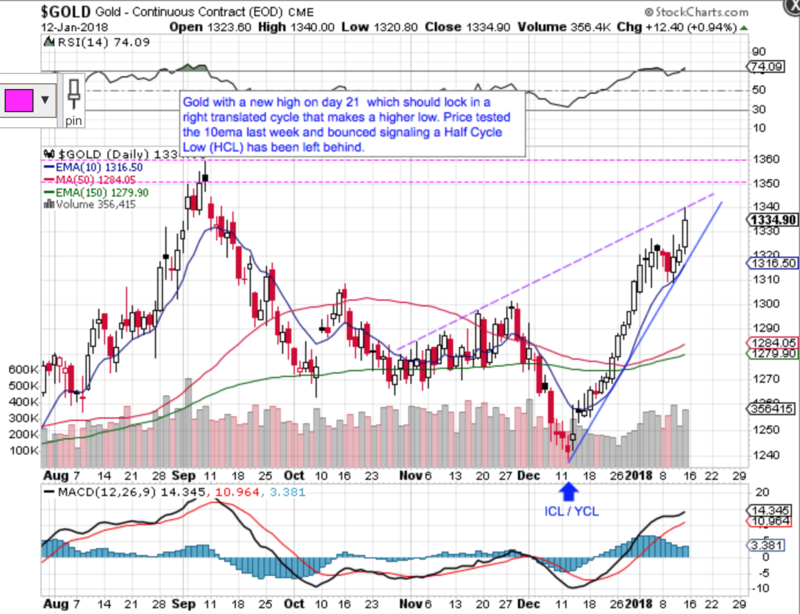 My normal TC timing band for Gold is 20-29 days but the first Trading Cycle out of a YCL typically runs towards the longer end. 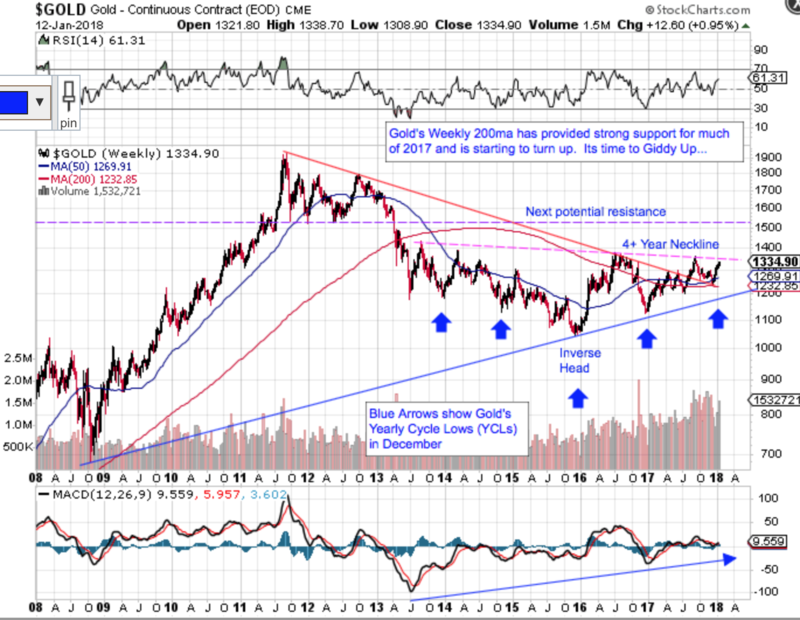 We have now also completed week 4 (Month one) out of Gold’s YCL and even during the long Bear, uptrend moves out of a YCL have never been shorter than a couple of months so my expectations are that after TCL/DCL #1, Gold and the Miners will move higher still. Normally I hold positions through TCL #1 but I may take profits on all or partial positions if I can get the price and time action correctly. Remember that Cycles work best measuring low to low from a Time perspective and they are far less helpful picking a top so I will be using other TA clues so stay tuned.